Applying ice is one of the most basic treatments for injuries. Typically, icing is used less than 48 hours after an injury, whereas heat is appropriate for more chronic pain. Ice will reduce pain, as well as cut down on inflammation and speed the healing process. Applying ice, however, is not simply taking a bag of ice and leaving it on your injury. To avoid further problems, you should learn how to properly apply ice and ensure your wound heals quickly and efficiently. Assess all injuries before deciding on a treatment. There are a multitude of injuries that call for a cold compress. Most of these are minor bumps and bruises that don’t require further medical attention. Some, like fractures, dislocations, and concussions, require emergency medical treatment. 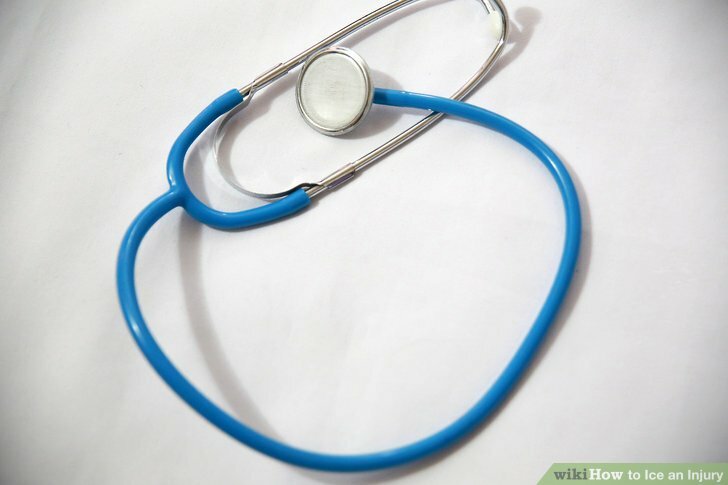 If you are at all unsure, visit the doctor or emergency room to receive the correct diagnosis and treatment. Check for a fractured bone. A fracture is a medical emergency that requires immediate treatment. 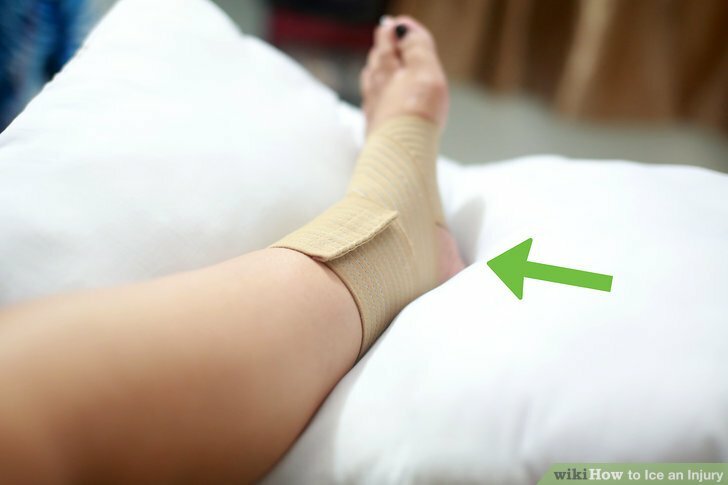 You can apply a cold compress to a broken bone to reduce swelling and pain. This should only be while you’re waiting for help from a medical professional, and not in place of medical treatment. If you have any of the following symptoms, either call 911 or get to the emergency room. A deformed or misshaped body part. For example, a visible bend in the forearm would indicate a broken arm. Severe pain that gets worse when the body part is moved or pressure is applied. Loss of function in the injured area. Often the area below a broken bone will lose some or all motion. Someone with a broken leg may find it difficult to move his foot. Bone protruding from the skin. Some serious fractures push the broken bone through the skin. A dislocation is when one or both of the bones that form a joint are forced from their normal positions. This also requires medical attention. You can apply a cold compress while waiting for medical help, just like with a broken bone. If you exhibit the following symptoms, keep the area immobile, apply a cold compress, and seek medical help. A visibly deformed or out of place joint. Bruising or swelling around a joint. Immobility. It is often difficult or impossible to move areas below the dislocated joint. While ice packs are often applied for bumps and bruises on the head, you should make sure that you aren’t suffering from a concussion. This is a serious injury that requires immediate medical attention. The hallmark of concussion is confusion or amnesia, sometimes preceded by the loss of consciousness. 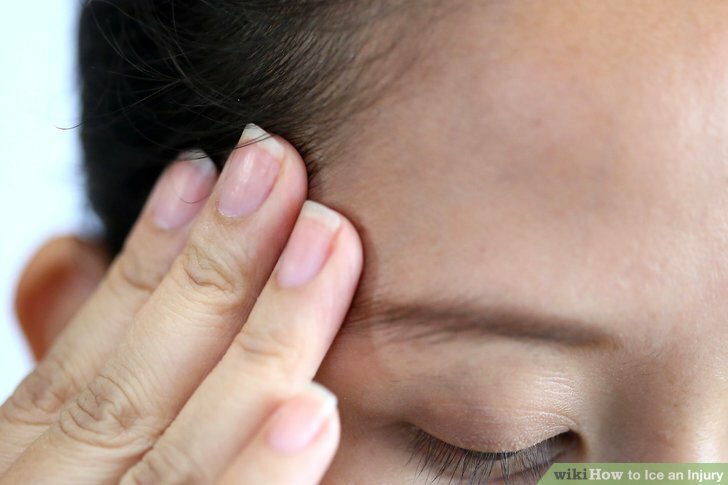 It may be difficult to evaluate yourself for a concussion, so someone else should check you for the following symptoms and seek medical help if a concussion is suspected. Loss of consciousness. Even if you only lose consciousness for a few seconds, this could be a sign of a serious injury and you should seek medical help immediately. Decide on heat or ice for treatment. When you’ve properly evaluated the injury and ensured that there is no medical emergency, you can decide on the right course of treatment. For minor injuries, people often ask if heat or cold is the ideal treatment. Both are useful in different situations. Apply ice directly after an injury takes place. Usually within the first 48 hours of an injury, ice is the best treatment. It will help reduce swelling, pain, and signs of inflammation. Heat is useful for sore muscles not associated with a specific injury. You can also apply heat to your muscles before an activity or sport that often makes you sore to loosen and warm them up. You have the option of using store-bought or homemade ice packs. Store-bought ice packs include gel-based ice packs, which are kept in the freezer and are reusable; and instant cold packs, which get cold instantly and are for a single use. Homes and first aid kits should always have an ice pack on hand, but there are also a variety of homemade options you can choose from. Try filling a plastic bag with ice cubes. 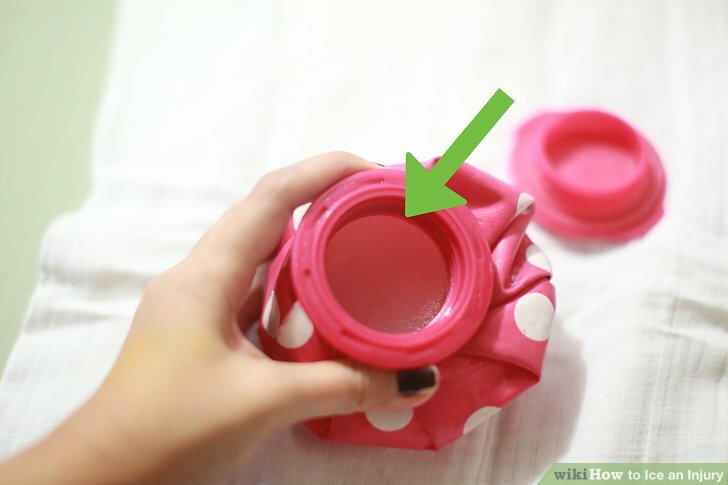 Then fill it with just enough water to cover the ice cubes. Let out all the air before sealing the bag. Frozen vegetables can also be used as an ice pack. A good example is a bag of peas. These are able take on the shape of the area and can be taken in and out of the freezer. 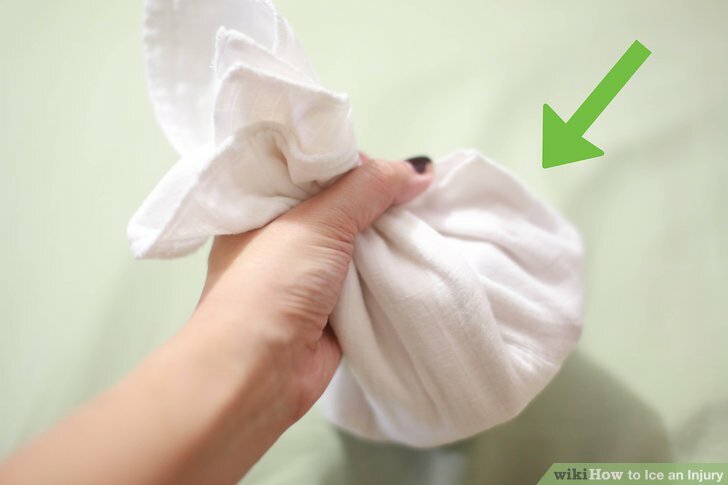 Wrap the ice pack in a towel. You should never apply ice directly to your skin. This can cause frostbite and nerve damage. 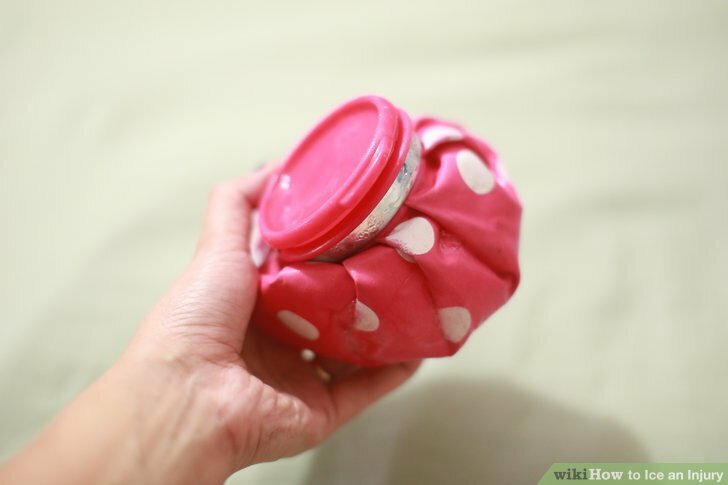 To avoid injury, wrap the ice pack in a towel before applying it to your skin. While icing an injury, it helps to keep the area elevated. This will drain blood away from the wound and help cut down on swelling. The combination of icing and elevation will help fight inflammation. Apply the ice to the injury. Icing is most effective when done immediately after the injury occurs, so move quickly. Press the ice pack down to ensure that the entire affected area receives adequate icing. If necessary, you can secure the ice pack with a non-stick bandage or wrap. Loosely wrap this around the ice pack and the injured area. Be sure not to tie this too tight, or you could cut off circulation. If the limb starts to turn blue/purple, the wrap is too tight and should be removed immediately. Remove the ice after 20 minutes. You should never keep ice on longer than 20 minutes. This can cause frostbite and other skin damage. Remove the ice and don’t reapply until the skin has fully regained feeling. Never fall asleep while applying an ice pack. You could end up leaving it on for hours and damaging your skin. Set an alarm or have someone tell you when 20 minutes have passed. Continue alternating the treatment of 20 minutes on, two hours off, for three days or until swelling completely subsides. If the pain from the injury is making you uncomfortable, you can take OTC pain relievers to help. 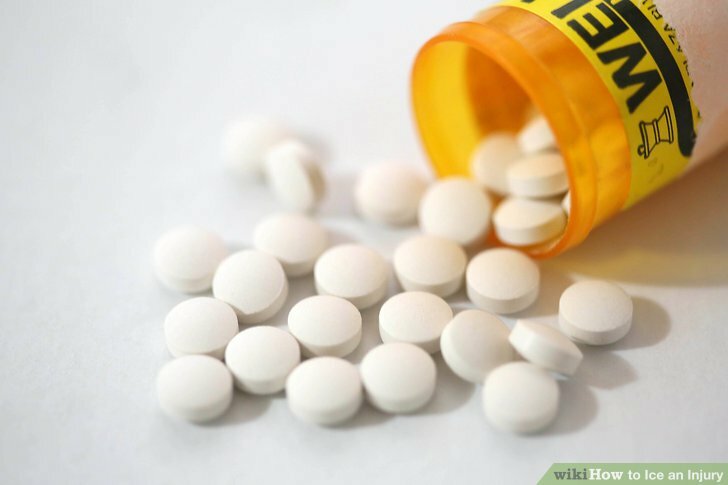 NSAIDs are designed to fight swelling and inflammation. They include ibuprofen (Advil, Motrin) and naproxen (Aleve). Take any medication as labels indicate to prevent overdose. Visit the doctor if your symptoms don’t improve. If you’ve been treating your injury with ice for three days and there is still swelling and no reduction in pain, you may have a fracture or dislocation that wasn’t recognized. Visit the doctor to see if you have a more serious injury than you initially expected. The standard treatment for most acute injuries is called the RICE method. It is an acronym that stands for: Rest, Ice, Compression, and Elevate. By following these steps, you can help your injury heal quickly and efficiently. Injured body parts are susceptible to further damage, so you should keep the area rested for at least a few days while it heals. Avoid any strenuous activity until your wound is fully healed. Listen to your body. If an activity hurts, than you should avoid it until you feel better. Continue your icing regimen for at least three days after the injury. Sustained icing will eliminate inflammation and help the wound heal. 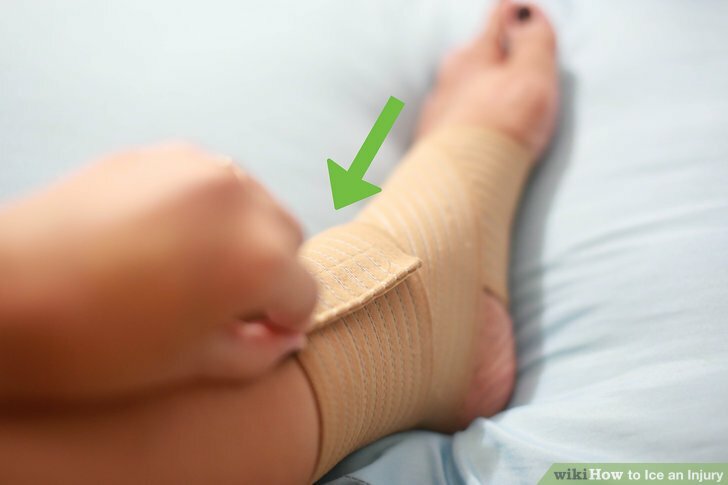 Wrapping an elastic bandage around the wound will help keep the area immobile. This will help prevent further injury to the affected area. Make sure the wrapping is only snug, not tight. If you experience any tingling or numbness around the wrapping, it’s too tight. Unwrap it and redo the wrapping more loosely. By keeping the wound elevated, you’ll drain blood away from it. This will reduce swelling and inflammation, allowing the wound to heal faster. Ideally you should keep the injury elevated above your heart to ensure effective flow of blood away from the wound. If you have an injury to your back, try laying down with a pillow under the area. a all an assess before deciding Ice injuries. injury. on treatment.